Mark Chitwood Photography: Good Luck Amanda ! This is a picture of the Grace University volleyball team - actually it is a picture of our friend Amanda Brazda. She is the one about to really pound this set. 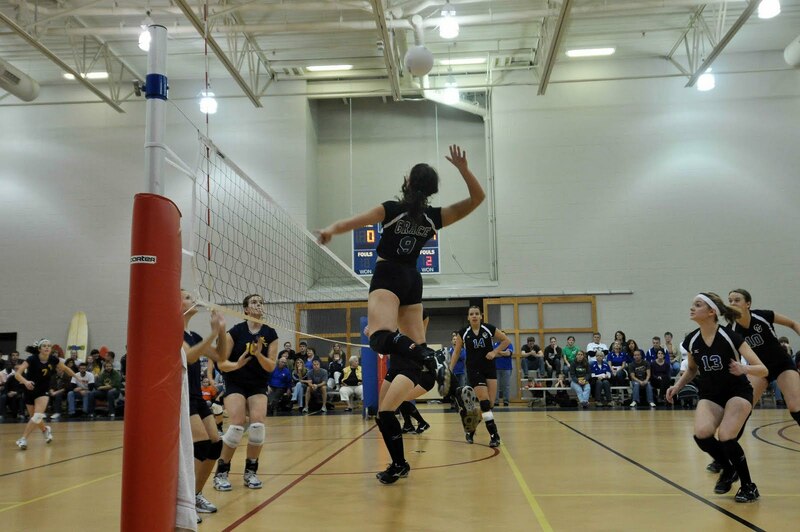 Amanda and the Grace Royals have made their National Volleyball Tournament in FL again this year. They really look great. Amanda had a great year and earned several all conference awards. I want to wish her and her teammates all the best. This shot was made much to the duress of the referee. He said that I made him nervous. He seemed a little high strung to me. Not sure how I can make him nervous. But I wanted to try to get a wide angle shot. This is as close as he would let me get. The head ref told me I was fine.